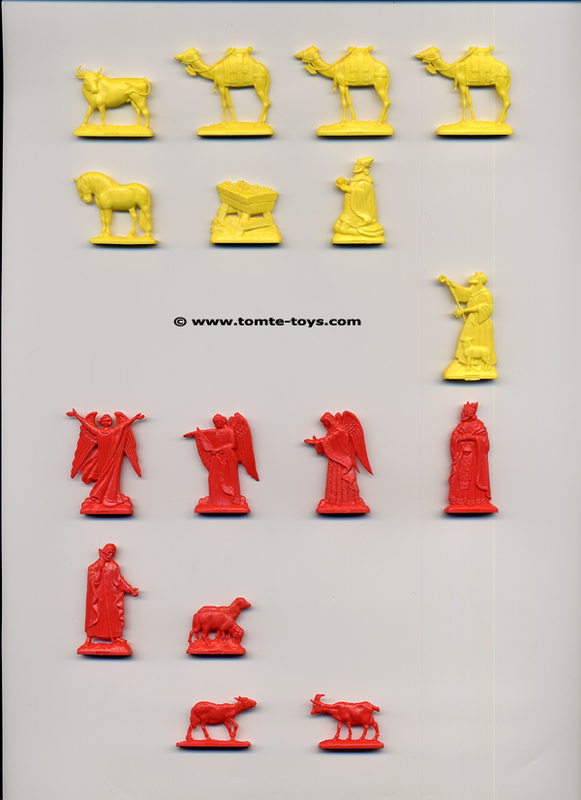 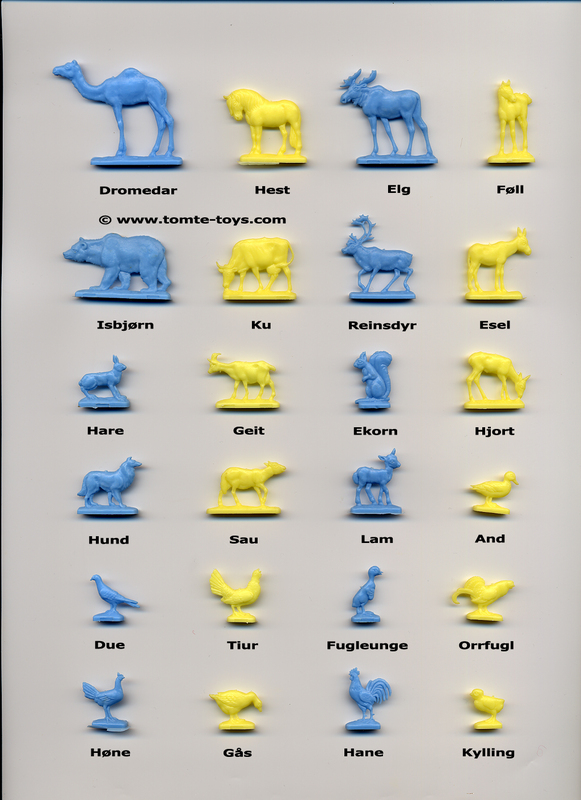 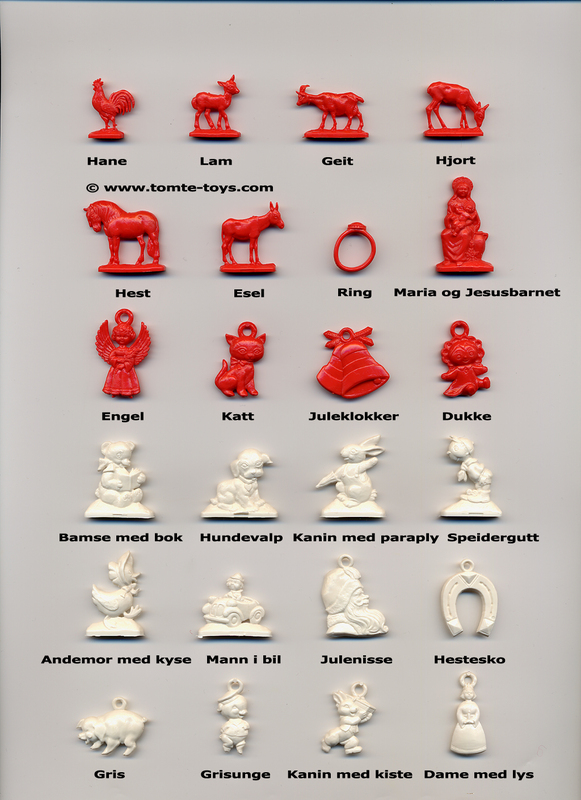 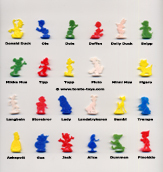 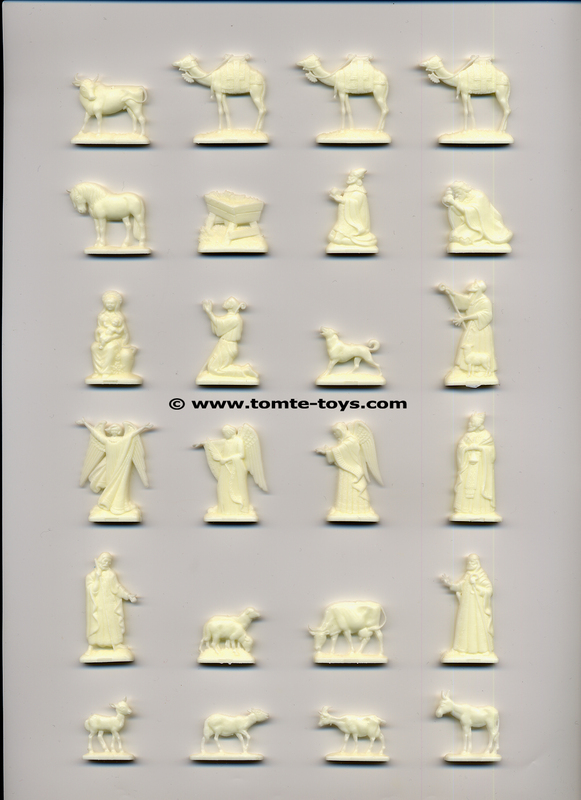 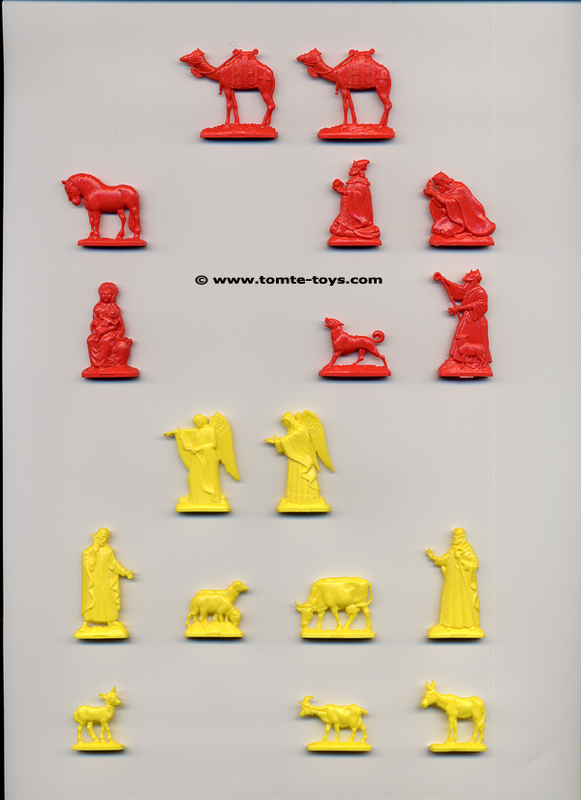 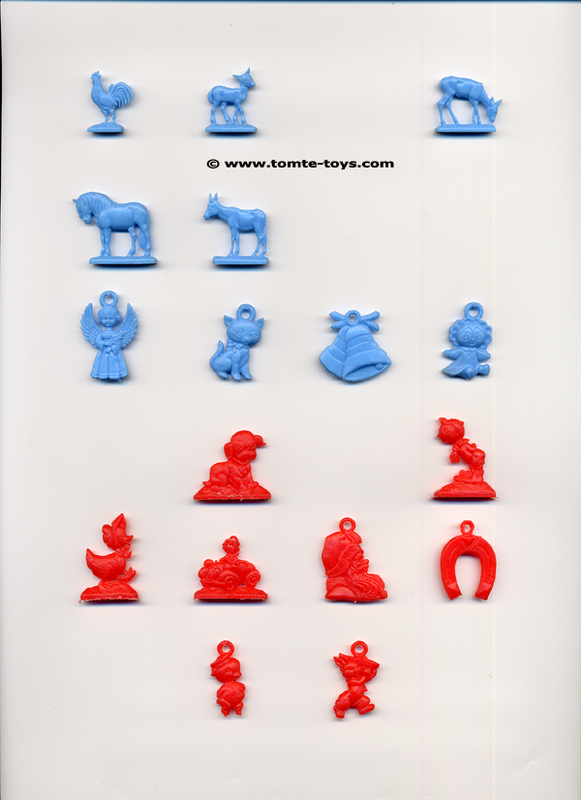 The calendars contain 24 different toys in two different colours. 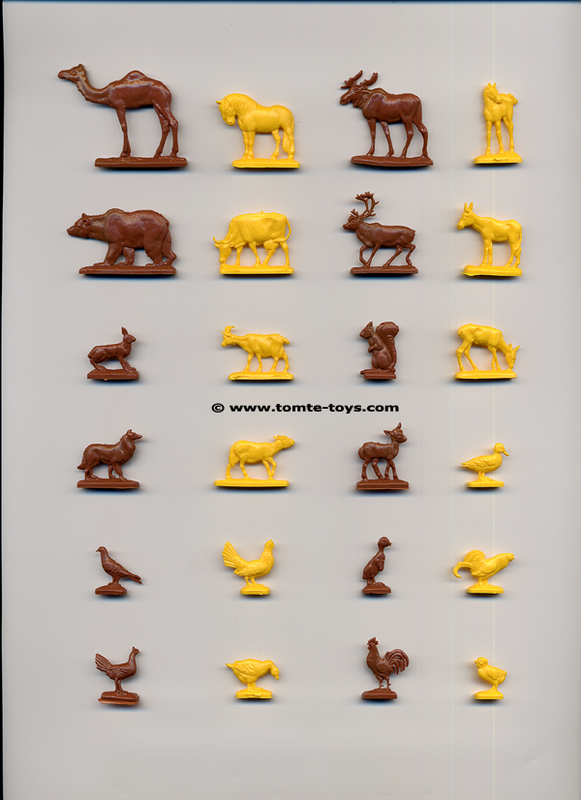 The toys below were produced from 1965-1977. 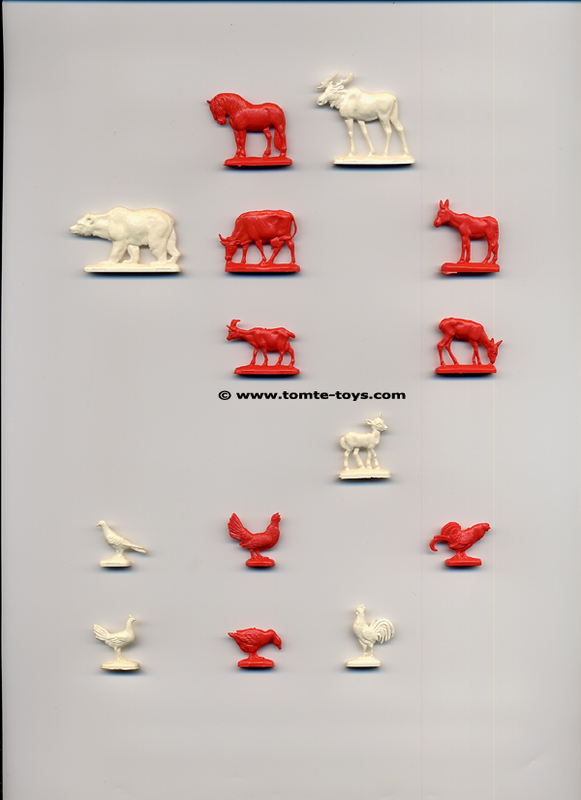 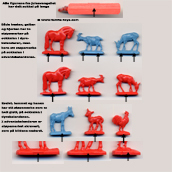 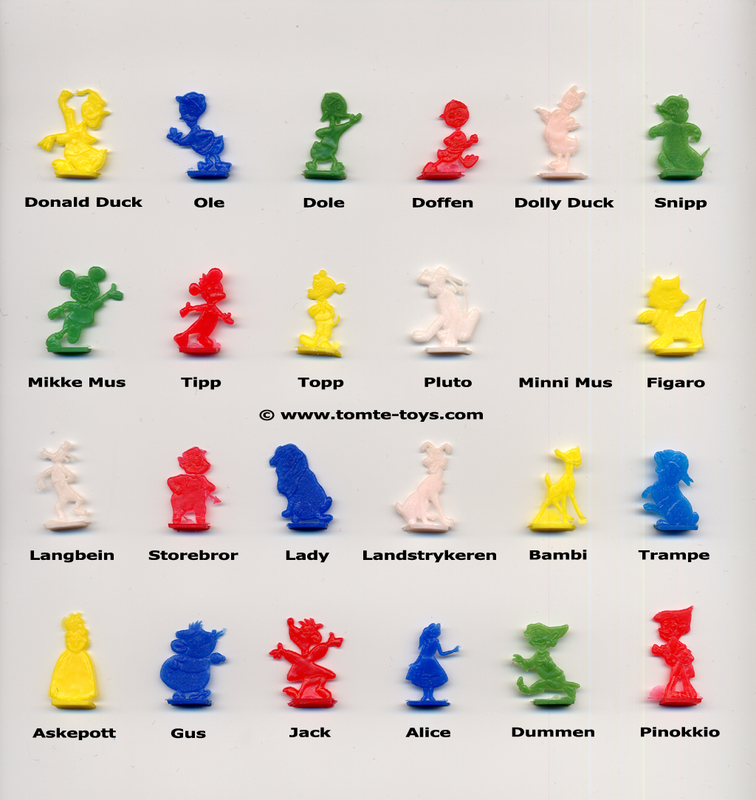 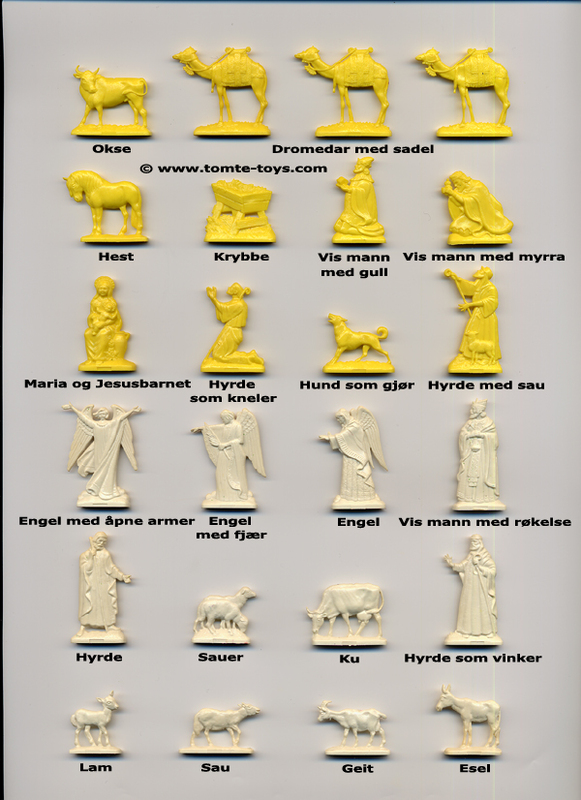 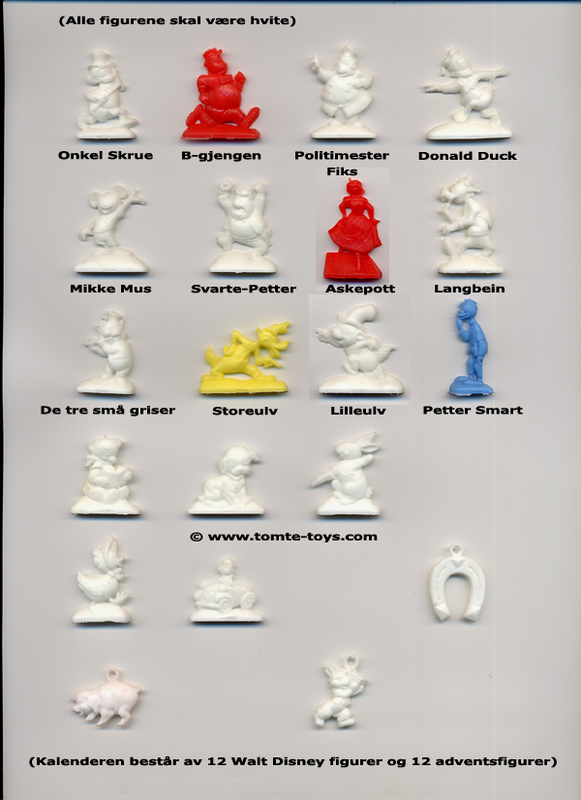 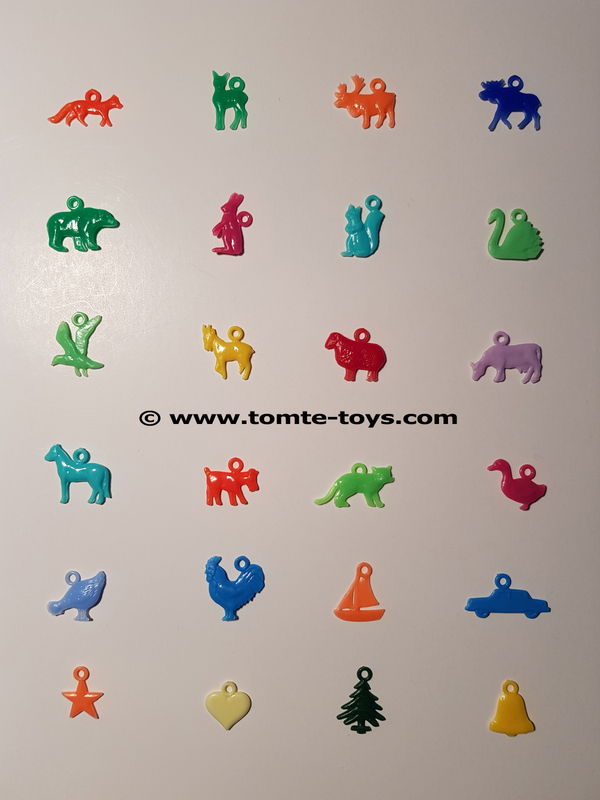 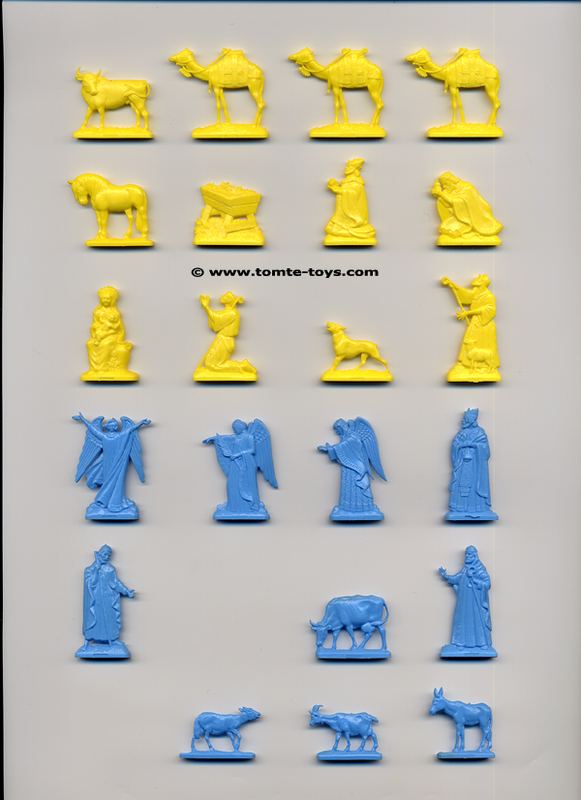 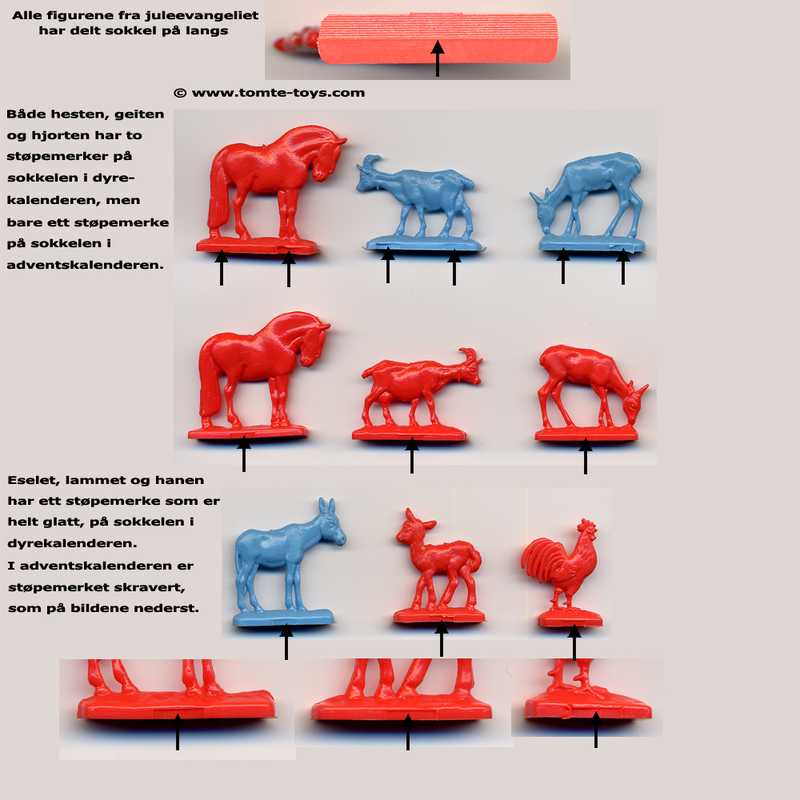 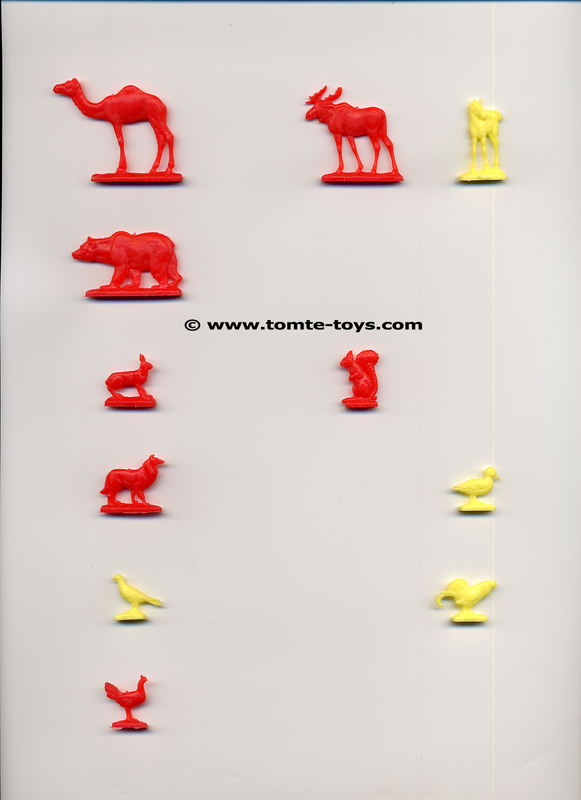 Towards the end of production, the 24 toys came in the same colour. 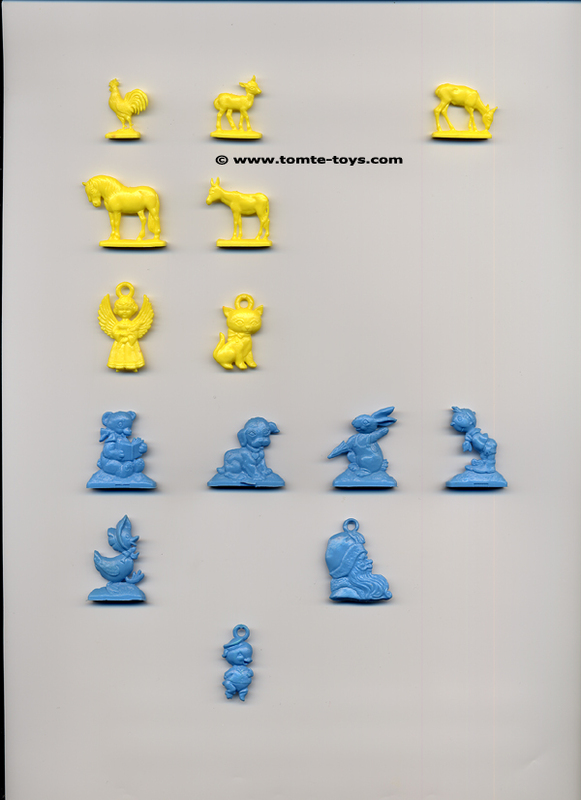 The soft vinyl toys that floats in water are of the latest production.